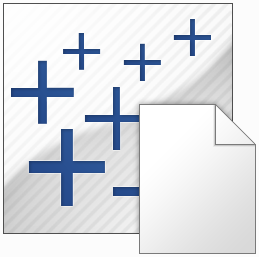 This file type is probably the most common that you will see and create when working with Tableau. It is in XML format (try editing it in a text editor) and contains all the information on each sheet and dashboard that is contained within your workbook. Information such as what fields are being used in each view and how measures are being aggregated, the formatting and styles applied and any other setup you’ve made to a sheet or dashboard (e.g. whether a quick filter is shown). It also includes data source connection information and any metadata you have created for that connection (see more on this below under .tds). Whilst a Tableau Workbook (.twb) as described above holds all the information Tableau requires to draw your viz, it does not include the data itself. A Packaged Workbook however, combines the information in a workbook and bundles it with any local data – i.e. data that is not on a server. You can think of it as a zip file, and indeed if you rename the .twbx file as a .zip you can open it with windows to see the .twb and the corresponding data files. A .twbx will also include any custom images, as well as any custom geocoding you may have used in your work. The primary reason you would save your work as a Packaged Workbook is so that you can share it with other Tableau Desktop users, or for others to open using Tableau Reader. When you connect to your data for the fist time, you may have a little bit of data ‘modelling’ to do – setting the right data types, changing default aggregations, setting default colours, creating some custom calculated fields etc etc. 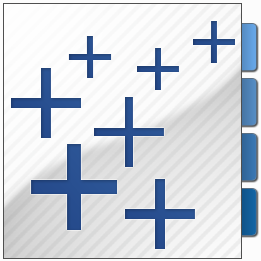 You are giving Tableau information about the data you will be using – you are setting up its ‘metadata’. When you want to connect to this data again, you don’t want to really go through all this data modelling a second time so instead you can save your metadata as a .tds file (again, it is saved in XML format) and connect to your data though this file instead. You could also distribute this file so that your colleagues have access to the nice formatting and custom fields you have worked to set up. Tableau is clever enough to pick up new columns/fields in the data source if they appear and column ordering does not matter but if column names change or disappear completely, you will need to reconfigure. Just like the fact that a .twb does not contain any of the data but a .twbx does, a .tds file only contains the information about the data, not the data itself. 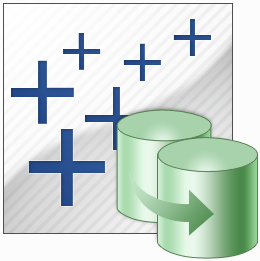 A Tableau Packaged Datasource (.tdsx), however, contains the data too. To create a .tdsx file, from the Add to Saved Data Source dialogue box, change the file type from the dropdown at the bottom. 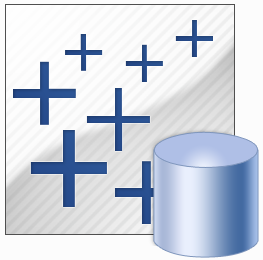 Tableau Data Extracts are highly optimised, highly compressed, subsets of your data stored in a columnar database file. When you connect to data using Tableau you can either connect ‘Live’ or you can extract the data into a .tde. 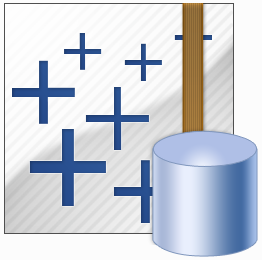 Data extracts are used to radically improve performance, particularly when connecting to slow databases or slow files (e.g. CSVs), as well as enabling additional functionality (try doing a count distinct whilst connected live to Excel) and offline analysis. You can also use extracts to perform some pre-aggregation of your data, and it can stop load / contention problems that may arise if you are connecting live to a database. 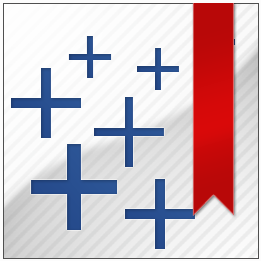 You’ll also HAVE to use an extract if you want to publish to Tableau Public. The primary disadvantage to using an extract is that your Tableau viz is no longer pointing to the ‘live’ data source – if that data source updates then your viz will not until you refresh the extract. Fortunately refreshing an extract is only a few clicks away, or you can set up your Tableau Server to refresh the extract on a schedule. To create a .tde file, when you first connect to data, chose the Import all data or the Import some data option. If you are already connected live, right click on your data source connection and select Extract Data. To create a .tbm file, click Window > Bookmark > Create Bookmark. To reuse a bookmark, clcik Window > [bookmark name]. Note that you cannot create a bookmark from a dashboard page. When plotting maps with Tableau, the software will connect to it’s mapping provider (Urban Mapping) to load the relevant map tiles in the background to plot your data points against. From the Map menu in Tableau Desktop, you have the option to add your own WMS server so that images from this source are loaded, rather than images from Urban Mapping. After you have added a new mapping source, you can share this set up with others by creating a distributing a Tableau Map Source file. The Tableau Preferences file can be used to create custom colour palettes so that using consistent colours (e.g your corporate colour schemes) across all your workbooks is made easier. This file is kept in your My Tableau Repository directory and is held in XML format. If you dig around you may be able to find some more of the lesser-spotted Tableau file types. These include .tld, .tlf and .tlr files which are all related to licence activation, and a .tsvc file which is a Tableau Atom Service File but I can’t say I’ve ever come across a need to use or generate this file type. Those are all of the file types that I’m aware of, have you ever seen any more that Tableau creates? Let us know in the comments!